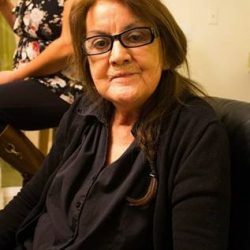 Carmel Ermelinda Martinez-Alires, age 69, passed away on Friday March 1, 2019, in Montrose Colorado. Carmel “Carmen” was born in Montrose, Colorado to parents Joseph Raymond and Clara Martinez. She was raised in Montrose and moved to California at age 17 where she would marry and start her family. Carmen moved between Colorado and California over the years where she raised her daughters: Candida, Carmela, and Rosita. Carmen enjoyed time with her family and would return to be close to them in 1995 when she became ill. As a result of an autoimmune illness, she received the “Miracle of Life” at University Hospital Denver for a Liver Transplant on May 9th, 1997. 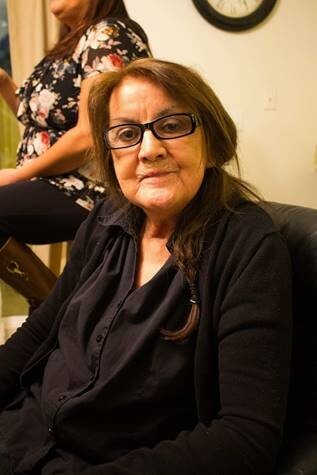 Carmen was blessed with 21 + years of life, which she spent each day in gratitude and each moment with her children, grandchildren, and great grandson. Carmen is survived by her daughters: Candida, Carmela, and Rosita; Grandchildren: Jose, Victoria, Alejandra, Dominic, Manuel, Iliana, Andres, Eddie, Abby, and Ava; Great grandson: Eladio; Brothers: Greg, Thomas, and Michael; Sisters: Marie, Veronica, and Phyllis. She is preceded in death by her parents, brothers: Timmy, Jerry and Andy; Sister: Shirley; Nephews: Dereke, Sonny Boy, Tomas, Sonny; Nieces Monique, and Lita. Services in the care of Crippin Funeral Home, Montrose.